What is the Origin of Blue Curaçao? What is the Tiki Pop Culture? What is the difference between liquor, liqueur, cordials, and spirits? What's the origin of the word "Cocktail"? Where does the word "liqueur" come from? 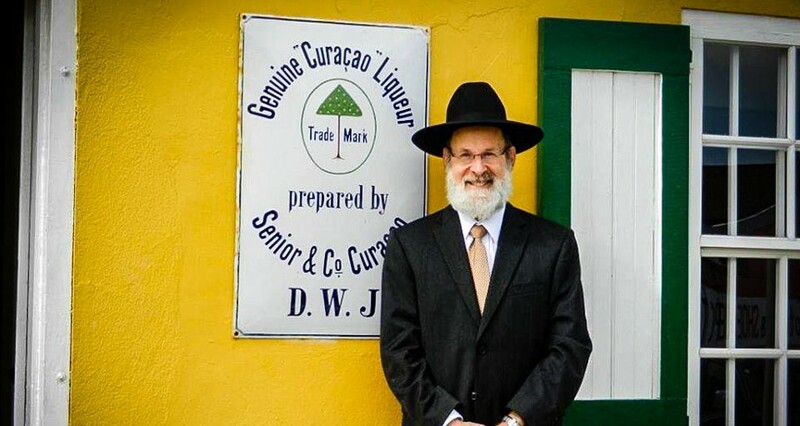 What Makes a Liqueur Kosher? You have seen it all over our website and our bottles: the official Kosher certification. Kosher is a set of rules and guidelines stated in the Torah that Jews follow for centuries now. Though Kosher is based on the Jewish religion, their demand on how to process food might appeal to everyone who finds the ingredients and production of food as important as the taste. The term Kosher is an adaptation of the Hebrew word kashér, meaning "fit" or "proper". A kosher food or product means that it complies with all the dietary requirements of the Jewish Law. Whether a food is Kosher or not depends on the source of the ingredients and the production equipment. For example, a dairy product does not only mean milk and cheese but also foods that have dairy derivatives. Each category of food has its own set of laws. Since cheeses are often made with rennet (enzymes) these must be microbial and added by a Rabbinic supervisor to be Kosher. Meat must come from an animal that has split hooves and chews its cud. Products that have animal derivatives must be Kosher as well. Furthermore, dairy products should never be mixed or eaten with meat. How does this apply to liqueur? In theory, raw fruits and vegetables are kosher, but the Kashrus states that they all should be free of infestation. That means that the fruits must be thoroughly checked for insects before using. Then you have the issue of Chometz Sheavar Alav HaPesach. This means that no Jewish consumer, merchant or manufacturer should own chometz on Pesach or benefits from it. This means that, during the Passover, one cannot use or own any food product derived from wheat, barley, rye, oats or spelt that has been in contact with water and has been allowed to ferment and rise. Since a lot of alcoholic beverages are made of some kind of grain, the rule applies. So if a Jew merchant does have chometz in his possession during the Passover, he would not be able to sell it or get any kind of profit out of it. The inventory becomes worthless. Even if the ingredients are Kosher, the equipment used must be Kosher as well. This means that non-Kosher food was never used in that equipment. To make a non-Kosher equipment Kosher again, one has to sanitize it in a specific way under the supervision of a trained Rabbi. So why is our liqueur Kosher? The founders of Senior & Co were Jewish and most of the families who are now owners are Jewish as well. Because of our Jewish background, it is important for us that our liqueurs are ‘fit’ for Jews. It must be clean, pure and comply with all regulations. Visit only if you are over legal drinking age.